Your roof gutters are one of the most overlooked, and yet most integral parts of your home. Consider what you ask of your roof even year. One inch of rainfall collected off your roof can fill a 54 gallon rain barrel, and every gallon weighs eight pounds. If your gutters are completely clogged, you are forcing the roof to hold thousands of pounds of weight during rainstorms. So important are rain gutters to home maintenance that clogged ones are the primary cause of water problems in the basement. Water backed up behind gutter systems can cause mold to grow, rot wood, and freeze during the winter, cracking foundations and anything else in its way as it expands. Call in gutter cleaning services to avoid all these kinds of problems. How Often Do You Call in Gutter Cleaning Services? This depends on several factors. First, how close do you live to trees? If you?re home is nowhere near them, you can likely go a few years between calling in gutter cleaning services. But most people?s home are in places where the leaves fall in autumn. 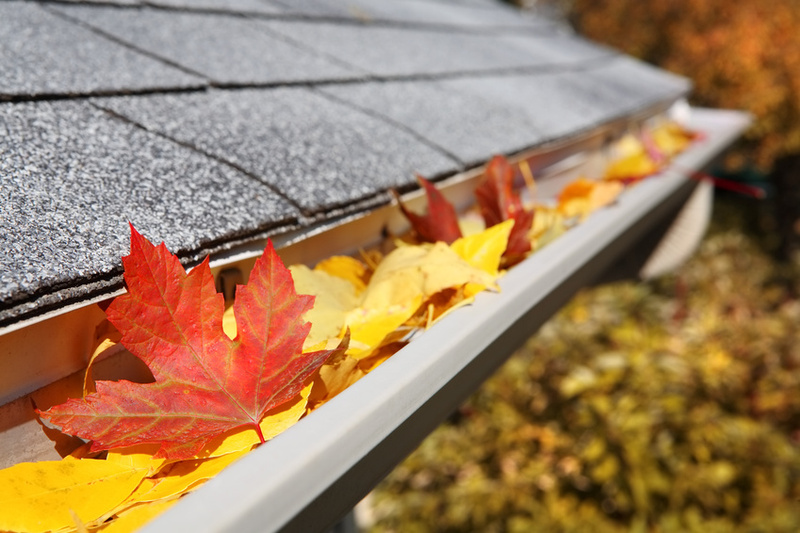 Falling leaves are the most common reason that gutters get full, so most will need to be cleaned twice a year. Once should be in the autumn, when the leaves are done. The second time should be in spring when pollen, petals, and seeds are whipping around. Can I Just Clean My Gutters Myself? You can do it, but the real question is whether you should. If you know what you?re doing, go for it. If you?re not sure, it?s probably wiser, safer, and faster to call some gutter cleaning services to do it for you. Cleaning out gutters presents a lot of opportunities for emergency room visits. You need to have the right ladder and make sure it?s in good shape. You need to know where to rest it safely, as well. You need great shoes, protective eyewear, and good gloves to protect yourself from whatever might be up there. How About Keeping Gutters Clean in the First Place? There are some things you can do. First, when you have the gutters installed, get gutter guards and screens. Using these does not mean you won?t have to ever clean out the gutters again. They will help, however, and allow you to let more time pass between cleanings. Your gutters help to protect you and your family by protecting one of your most valuable investments: your home. Make sure you hire gutter cleaning services regularly to make sure that there are no unexpected problems and everything can be done quickly. Look for services that carry insurance and are recommended in your community. And make sure your gutters will serve you for a long time to come.